221B Baker Street is the London address of the most celebrated fictional detective, Sherlock Holmes, and his dedicated companion, Dr. Watson. 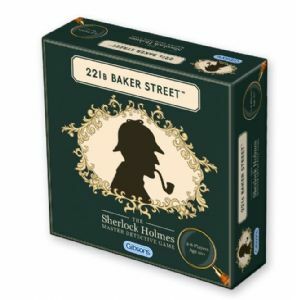 In this detective game you start at 221B and travel through the streets and alleys of London picking up clues and attempting to solve the most intriguing cases Holmes and Watson have ever faced. Dust off your deerstalker and dive into 50 new Sherlock Holmes cases for 221b Baker Street!